Personalization isn't just about honoring your loved one's individuality. 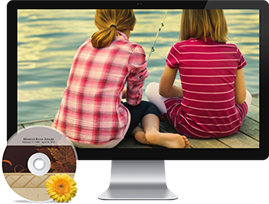 It also allows family and friends to feel connected to the services and the life being honored. A memorable and meaningful service can be an important part of the healing process for those who are coping with a loss. We work closely with you to get to know your loved one's life story in order to represent your bond and pay tribute to their unique journey. 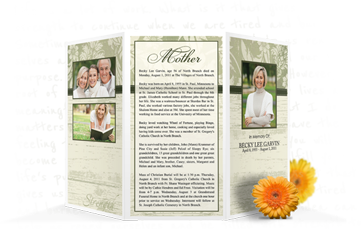 From the register book and memorial folders to prayer cards and thank-you notes, our high-quality stationery sets are available in several themes to honor your loved one's hobbies, style, and unique life path. Let us help you explore the options and choose the perfect design to create treasured keepsakes for you and your guests. Memorial sites not only allow you to share stories, photos, and videos of your loved one; they also allow you to connect with family and friends. When visiting the Celebration Wall, guests can leave text comments to share condolences, offer words of support and sympathy through video messages, or leave a meaningful symbol when words just aren't enough. 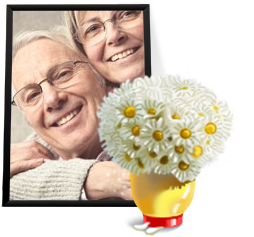 Guests can also view the obituary and service information, and order gifts and flowers directly through the site. 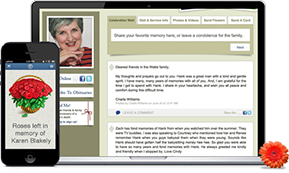 This page serves as a permanent virtual tribute to your loved one, and a place you can return whenever you'd like to revisit memories and reconnect with messages of support and love.